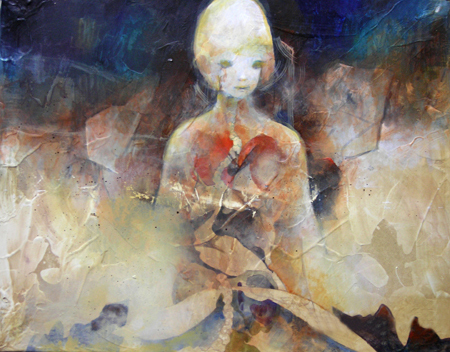 Kana Ohtsuki, born on February 17, 1984, lives in Kyoto, known for a series of paintings with girl motif. I met her amazing artworks last month, for the first time, at her solo exhibition held at neutron-Tokyo (Gaienmae, Tokyo). 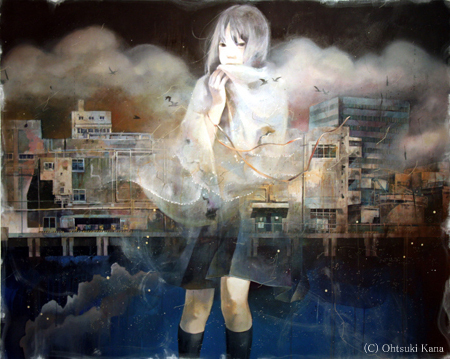 An unique atmosphere as if this world and the next are overlapping, and a fragile appearance of the girl put in there alone (see her works below). I love them !! *Kana Ohtsuki is a contract artist of neutron. For any inquiries regarding her artworks, please contact neutron. Copyright © Kana Ohtsuki All Rights Reserved.